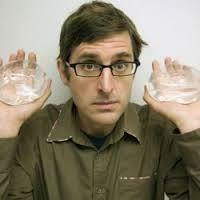 Louis Theroux has had a number of series - When Louis met... and Louis Theroux's Weird Weekends. As well as other documentaries. 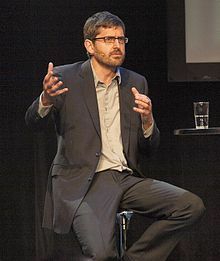 Do you like Louis Theroux? Do you watch his series? I think he does interesting topics but I don't like that he goes in with a judgment and never shifts from it. There was one on shooting animals, and while I agreed with Louis stance, I loved that the South African guy called him on it, saying he agreed to let him film to show the other side of the story and Louis wasn't letting him. I really like Louis. His shows have interesting & often controversial subjects, and he is never afraid to ask the hard questions ( but seems to ask them in a nice way ). He is a bit weird? I have watched a great deal of his show's, and he gets the interviews ect. Maybe, just maybe he can do it.....because he is a tad-off-beat. He gets the characters to reveal a lot about themselves by making them feel comfortable, giving them enough rope. I dont agree that he goes in with his mind made up, he seems pretty open most of the time & willing to listen to just about anyone.